Bridge was recognized for the quality and impact of three especially noteworthy Chicagoland projects: Bridge Point 290, Bridge Point Franklin Park, and Bridge Point North Business Park Building III. CHICAGO, IL——Bridge Development Partners has been recognized as the Developer of the Year by the Greater Chicago Food Depository’s 31st Annual Chicago Commercial Real Estate Awards. 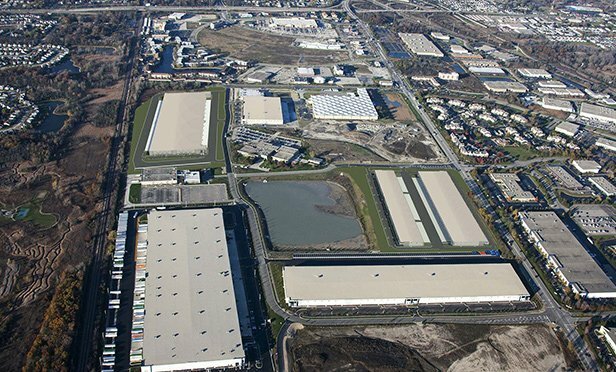 The developer was honored for the quality and regional impact of three of its especially noteworthy projects in the Chicago industrial market: Bridge Point 290 Phase I, Bridge Point Franklin Park Building I, and Bridge Point North Business Park Building III.